US President Donald Trump has threatened on to declare a national emergency to circumvent Congress if he can't reach a deal with Democrats to fund his promised border wall. The border wall funds has been at the centre of the ongoing partial government shutdown. The comments came ahead of his planned trip to Texas to press his case that the country is facing a crisis which can only be solved by spending billions of dollars to construct a wall along the border with Mexico. rior to the shutdown, he said he would be "proud" to shut the government down over the issue but has since blamed Democrats. He also has been considering whether to declare a national emergency and use it to circumvent Congress by building the wall with money allocated for the Department of Defense. On Thursday, Trump said it would be "very surprising" for him not to declare a national emergency if he can't make a deal with Democrats. "I'm not prepared to do that yet, but if I have to, I will," Trump told reporters. "We're either going to have a win - make a compromise - because I think a compromise is a win for everybody - or I will declare a national emergency," he said. 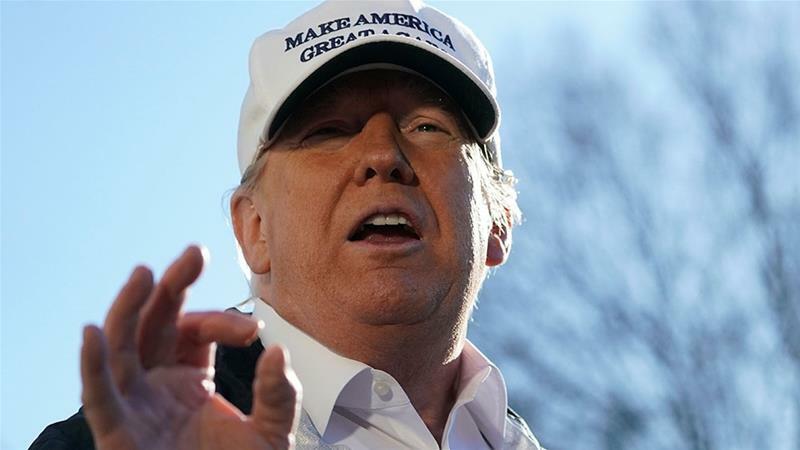 It's not clear what a compromise would entail, as Trump has so far refused to give up on his demand for $5.7bn in border wall funding, and if he were to go through with the threat to declare a national emergency, it would likely be challenged in the courts. Democrats, who control the House of Representatives, refuse to approve the funding, saying a border wall is ineffective, expensive and immoral. They have instead said they will allocate more than $1.3bn for border security measures that don't include a wall. On his trip to Texas, Trump will travel with the state's two US senators, Republicans John Cornyn and Ted Cruz. After Trump's midday visit, Cornyn will host a roundtable discussion with area mayors, judges, law enforcement personnel and others involved with the border issue. McAllen is located in the Rio Grande Valley, the busiest part of the border where individuals cross between official ports of entry. Trump has expressed his own doubts that his appearance and remarks in Texas will change any minds as he seeks money for the wall that has been his signature promise since his presidential campaign. On December 22, about 25 percent of the government - excluding mainly the Department of Defense and health-related programmes - shut down because of Congress' inability to meet a September deadline on funding.